Anybody who has watched little boys for even five seconds knows that they are exhausting. At school, they tear around the playground, bolt through corridors and ricochet off classroom walls. According to a new Finnish study, this is all helping them to be better at reading. The study, released Nov. 30 in the Journal of Medicine and Sport, found that the more time kids in Grade 1 spent sitting and the less time they spent being physically active, the fewer gains they made in reading in the two following years. In first grade, a lot of sedentary time and no running around also had a negative impact on their ability to do math. Among girls, sitting for a long time without moving much didn’t seem to have any effect on their ability to learn. 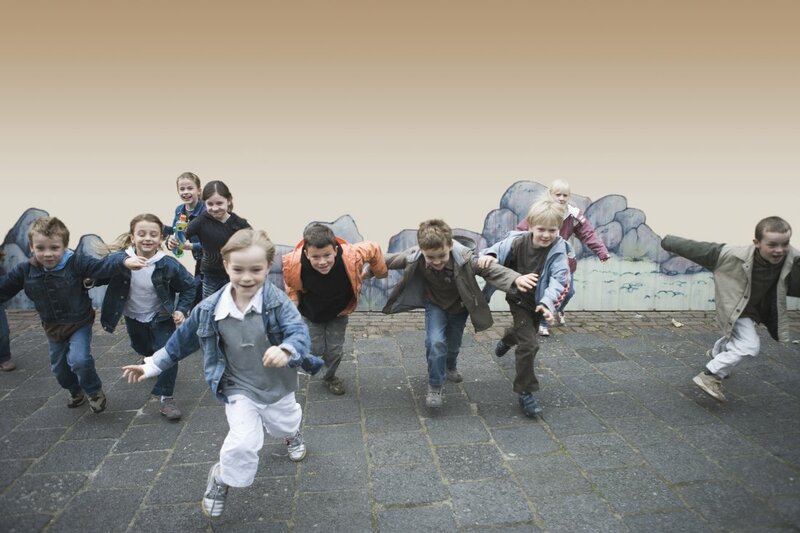 Researchers at the University of Eastern Finland analyzed studies that measured physical activity and sedentary time of 153 kids aged six to eight. The studies used a combined heart rate and movement sensor, and researchers gave kids standardized tests in math and reading. “We found that lower levels of moderate to vigorous physical activity, higher levels of sedentary time, and particularly their combination, were related to poorer reading skills in boys,” the study says. While the test group was small and Scandinavian (the Finnish school system‘s freaky success is almost legendary), the study offers some evidence for what parents have been thinking for a long time: we may not be educating boys the right way. As pressure increases on schools to show evidence of learning, many education systems have tried to provide a more academically rich environment. But sometimes this has come at the cost of physical education, which is often considered an optional extra rather than one of the core skills a student must master. Money and school hours that might have been spent on P.E. are now devoted to libraries, science labs and better tech gadgets. All of these are worthy teaching tools, but they promote a very sedentary style of learning. Add to this the reliance on testing, which, again, has it merits, and you have kids sitting down for longer and longer periods every day. Most U.S. schools don’t require any P.E. or recess. The connection between exercise and learning is not new, but the Finnish study provides stronger objective evidence that the increased emphasis on sedentary academic activity among the youngest learners may be fruitless if it comes at the cost of physical activity. Boys whose days were more sedentary when they were in first grade (a crucial year for learning to read) made fewer gains in reading in second and third grade. They also did worse at math for that year. The authors aren’t sure why the difference between boys and girls is so stark. Not as many girls participated in the study, so that may have influenced results. Moreover, it may have less to do with the difference between the male and female brain; for girls, academic achievement may be more influenced by factors such as parental educational support, peer acceptance, teachers’ positive attitude and their own motivation.